Blue for rainbow2019. Blueberries illuminated with a Blue filter, and tweaked a bit with PS Express on my phone. @shannejw thanks Shanne. Bit of a cheat really, but if you’re going to enhance the Blue, It’s go to be Blueberries. I was going to do as you suggested and Photoshop a Blue Banana or Orange but opted for this instead. Beautiful again! Do you remember the brand of the kit of lenses to be added to the iPhone? Thank you! @caterina £13.69 from Amazon UK, Mpow Fisheye Lens,3 in 1 Clip-On Lens Kit. I think you can get for most models of phone just search for your model. How do you add a blue filter to an iPhone? 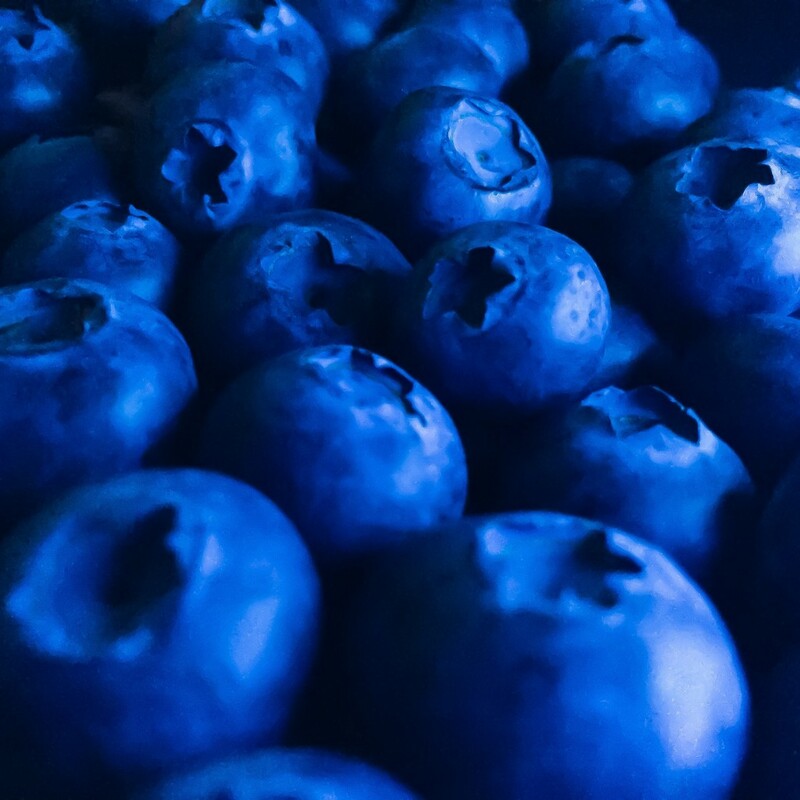 I also photograph with iPhone.Itsure does enhance the beautiful blue of the berries. @shutterbug49 I used an LED torch (flashlight) to add side lighting and put a Blue filter over the light (the Blue filter being one of my Grandchildren’s plastic bowls) no fancy setup. The Blueberries are sat on top of a Black Woolly jumper (sweater). Now that you ask about filter on the iPhone, I am going to dig out some gel filters I have for my flash in my camera bag and experimental shooting through them, or putting over the flash on the phone. It should work, I have put tracing paper over the phone’s flash to soften the light in the past. So a few things to try, thanks for the inspiration. @kklinck thanks for the Fav Kate. @imnorman sounds like some fun experiments in both of our futures. Thanks for the ideas.